Planet Hunters | Talk | APH73412079 | Transit every 12.2 days? I think I see a consistent pattern, on a transit every 12.2 days. It appears to be spread over BOTH the Q5 data, and the Q7 data. I think I see a consistent pattern, on a transit every 12.2 days. It appears to be spread over BOTH the Q5 data, and the Q7 data. the transits seem about even and in the same place. Sky View looks clean to me. 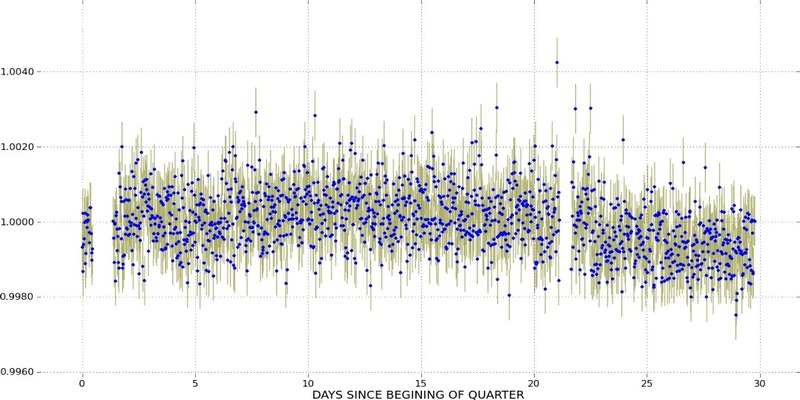 #transit with a #period of 12.2 still present in the Q14 Data.